The 5x1 HDMI switch allows 5 HDMI ports to be switched to a single display terminal via remote control or buttons on unit. The switcher can be also placed at the end of a long HDMI cable to regenerate the HDMI signal. 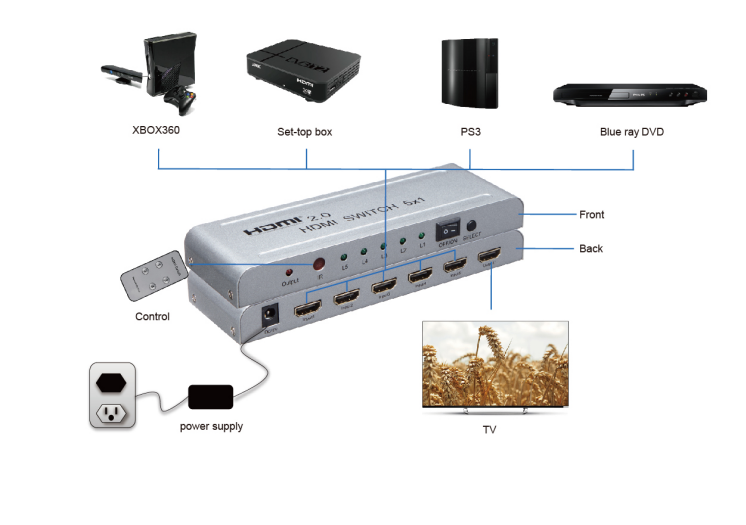 This HDMI Switch support video formats including 720p, 1080i , 1080p, 4K/30HZ，4K/60HZ.